Today we talk about using as few words as possible to tell a story. It’s a great exercise for synopses writing, query letters, and elevator speeches. 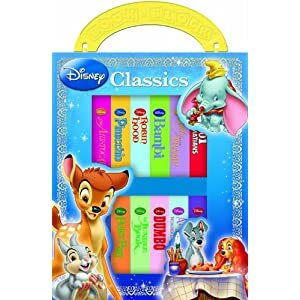 I’ve been reading more picture books to my son lately, and some of his favorite are the five-page, itty bitty board books by Disney. His collection seems to be out-of-print. I’d like to think it’s because those stories were so blatantly sexist. But I digress. I’m supposed to be comparing this to a summary of a story. Think of a Disney movie. Take, for example, my favorite, The Lion King. We’ve already examined The Lion King using my 8 C’s of plotting, so we know that there’s a full story there. But Disney merch has shown us a plethora of synopses for the story. There are chapter books, story books, picture books, and yes, a 5-page board book. Each is the same story, condensed in varying degrees of complexity. Some of the 5-page board books have no plot at all. They have one page per character in the story. And you know what else? They are stupid. When agents/editors/publishers read your query letter or synopsis, they don’t want a page per insignificant character. They want to know what your story is. Yes, that means they want to know the plot, right down to the happy or unhappy ending. I read in How Not to Write a Novel the chapter “How Not to Sell a Novel.” One mistake new writers sometimes make when trying to sell the book is not giving away the ending . Maybe in children’s merchandise you don’t want to tell little 2-year old Sally about the prince slaying the dragon, but I’m pretty sure 3-year old Sally wants to know that the prince is worth his salt. And Publisher Sally wants to know that the new writer she’s considering is worth his salt and can write a decent ending. Don’t annoy the publisher or agent in an attempt to be mysterious. The best of the 5-page books are like a good movie trailer. They spell out the plot in a condensed manner, but they don’t give everything away. Still, they at least hint at the ending. My husband and I hate watching TV Spots for movies, because lately they seem to never actually tell you what the movie is about. There’s more fading to black than there is content. Katniss is a skilled hunter with trust issues. Peeta can decorate a cake like nobody’s business. Katniss and Peeta have to fight in the Hunger Games. They fight for themselves. Children murder other children. Katniss and Peeta fight for each other. There, see? I just wrote a synopsis. You can do it, too. Try this method—it’s less painful than gauging your eyes out with a pipe cleaner. Optional Part One: Pick a Disney movie. Find all the Disney-sponsored books you can about that movie. Chapter books, novels, story books, picture books, coloring books, story books. Read them. Optional Part Two: Write your own 5-page board books of your favorite books or movies. Then try it out on your own stories. Non-negotiable Part One Point Five: Enjoy yourself. If you aren’t having fun, pick a different hobby, like coil-building clay pots or macramé.